CEB (formerly Saville and Holdsworth (SHL)) psychometric ability tests are broken into different tests for each level of role, rather than having one test for one type of ability (e.g. verbal reasoning) that can be used across roles. While this customisation of tests to the level of roles makes the tests seem more relevant and face valid, it is our belief the basic abilities are the same, just the level and norms the individual is compared to, really changes. Many other tests, such as the Employee Aptitude Survey (EAS) tests, can be used across a wide range of roles and the choice of norm group would be the only change dependant on the level of role being assessed for. SHL have developed some more complex numerical tests which are good at assessing more applied numerical skills, such as reading charts, graphs and tables. We have the SHL online platform which can deliver all their unsupervised ability tests as well as some paper based versions of their older tests. Administration needs to be supervised. Measures the ability to understand the meaning of words, logic within sentences and the use of grammar; the ability to complete or correct high-level written text. Most often used at the middle to senior management level. This ability test measures the ability to handle particular numerical problems set in a business context. Its main use would be to assess competence in handling numerical business data. Problem types range from straightforward arithmetic to proportions, ratios and probabilities. Candidates may use a calculator. Most often used at the senior management level. Online and paper based versions of the test, though the paper based are being phased out. This verbal analysis ability test measures analytical skills such as summarising, drawing inferences and logical reasoning. This ability test assesses ability to interpret high-level written information such as complex reports and policy documents. This numerical analysis ability test measures the ability to interpret and use high level numerical data, charts, graphs, tables and statistics. This ability test is useful in assessing ability to identify trends or combine data to establish new information. This ability test measures the ability to evaluate the logic of various kinds of argument. The tasks set and the topics covered are designed to be relevant to managerial work, enhancing the suitability of the tests for use with graduates and managers. The task is to decide whether a statement made in connection with given information is true or untrue, or whether there is insufficient information to judge. Most often used at the graduate to middle management level. This numerical ability test measures the ability to make correct decisions or inferences from numerical data. The tasks set and data presented are highly relevant to a range of management level jobs. Candidates may use a calculator, which further increases the relevance of the setting, and puts the emphasis clearly on understanding and evaluation, rather than computation. This ability test measures the ability to understand and evaluate the logic of topics relevant to supervisors or junior management personnel. The task is to decide whether a statement is true or false in the context of the information given. Most often used at the administrative, supervisory and junior management levels, the test has only business norms. This numerical ability test assesses speed and accuracy in interpreting trends and inference in numerical information. This ability test is appropriate for any role where the logical analysis of numerical information is required. This ability test assesses the ability to infer information from a symbolic system and to apply these rules to new situations. This test is a high level measure of symbolic reasoning ability and is especially relevant to roles that require the capacity to work through complex problems in a systematic and analytical manner such as systems analysis and program design. 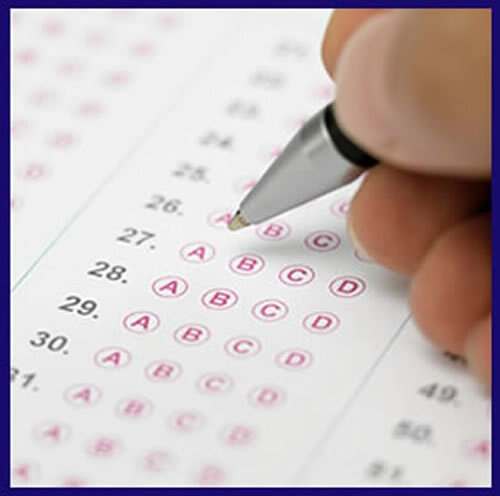 SHL offer a suite of unsupervised assessments that are called Verify Ability Tests. The idea behind these tests is that they can be used as an initial screening tool, and later the candidate’s results would be “verified” through a supervised shorter versions of the test.